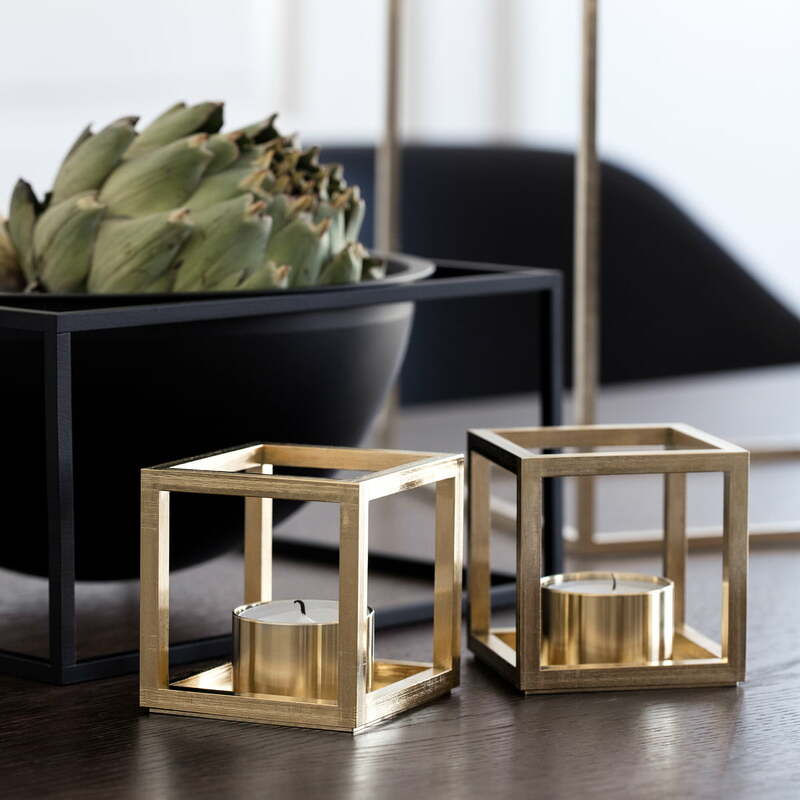 The Kubus T tealight holder by Mogens Lassen for by Lassen joins the iconic Kubus series with its timeless, geometric design. 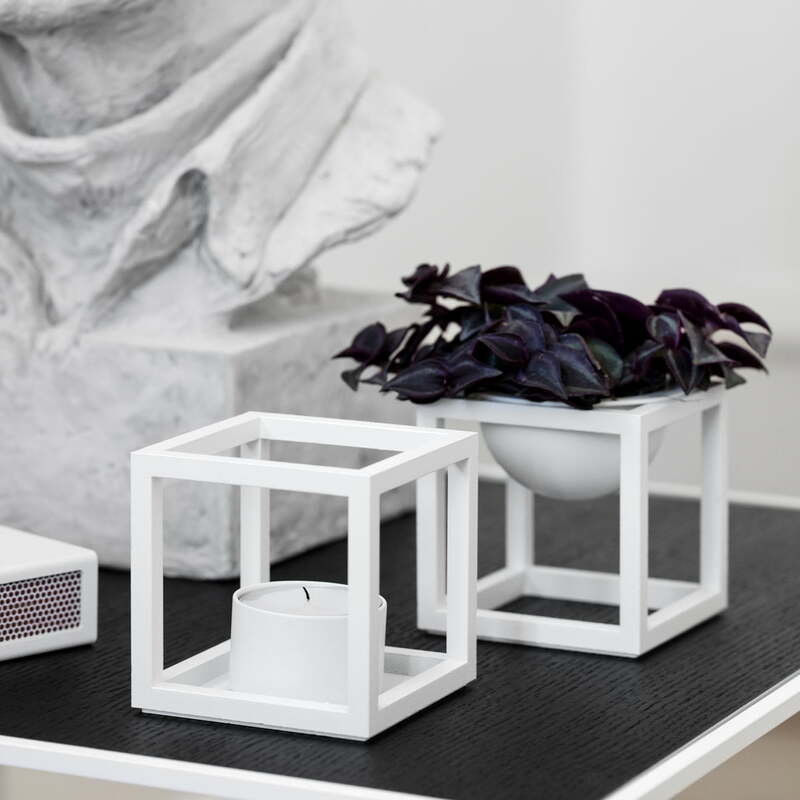 The range consists of home accessories such as candle holders, vases and bowls, which are characterised by their straight-line silhouette and functionalist style. 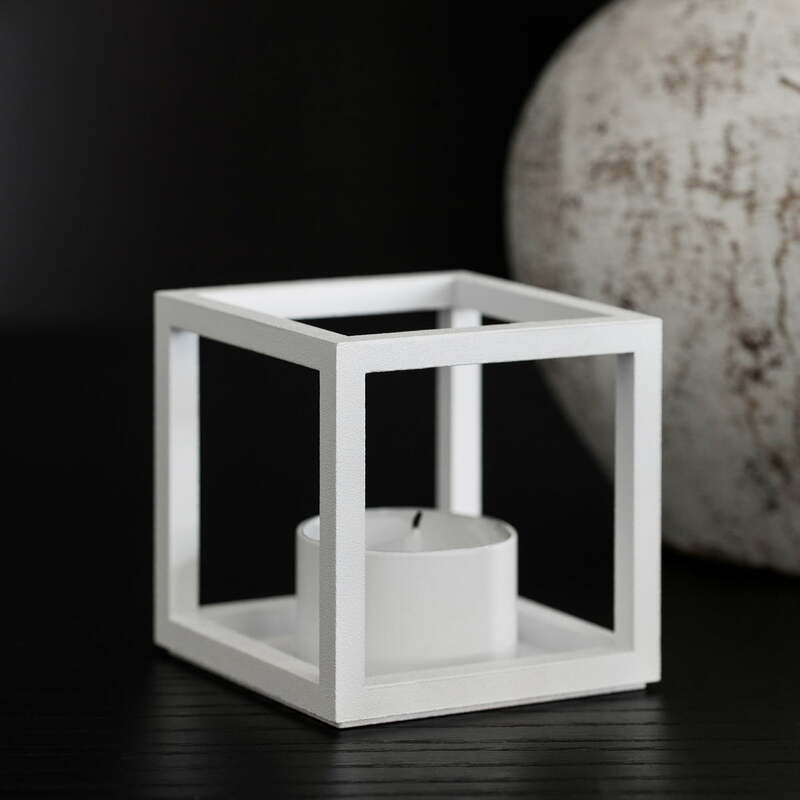 A conventional tealight fits into the tealight holder. 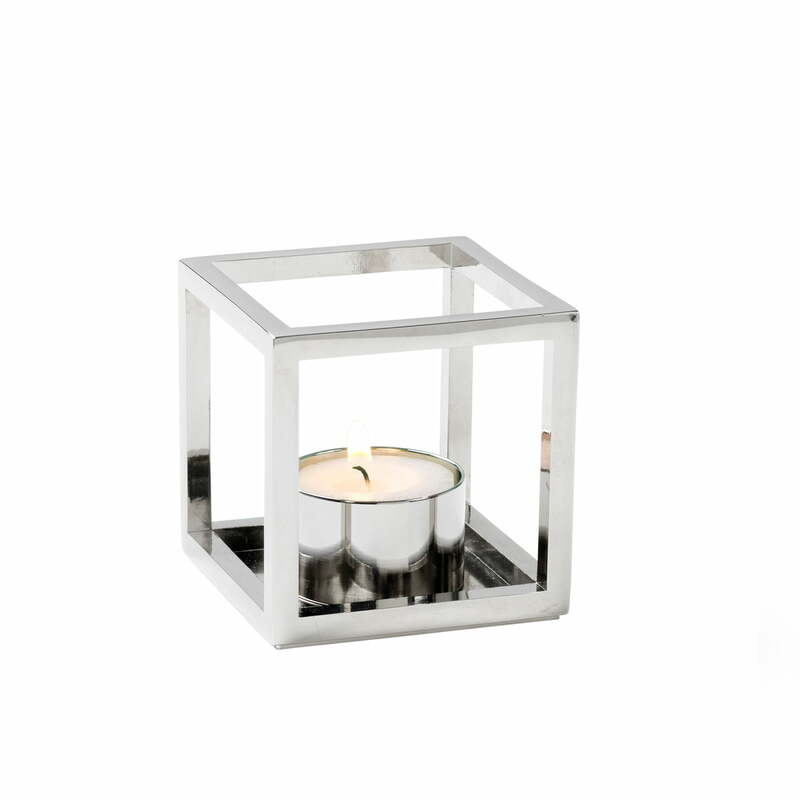 When lit, the flame of the tealight provides a pleasant light that refracts on the struts of the cube in an original way. 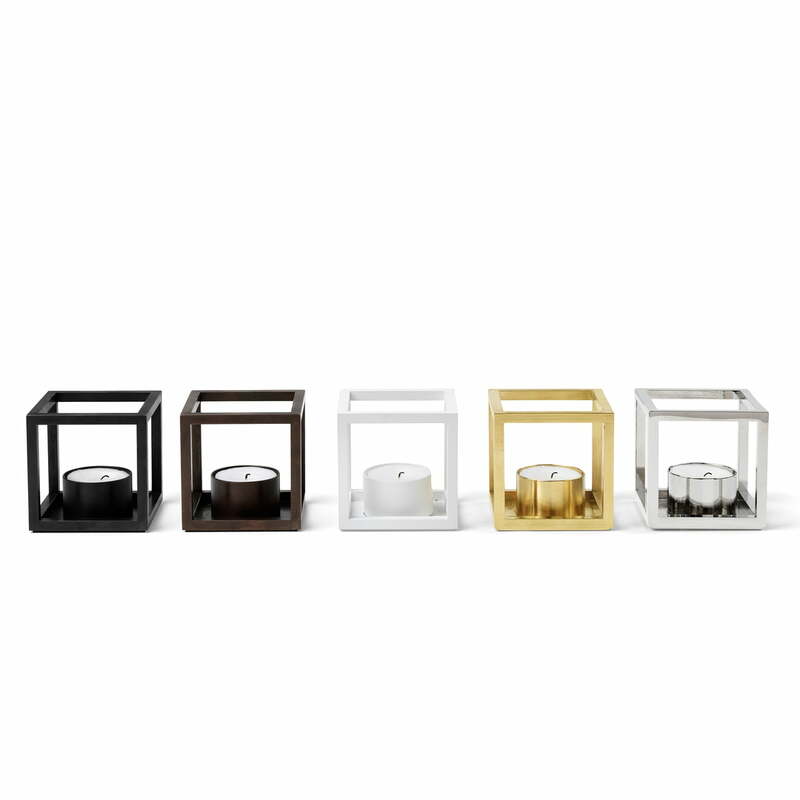 But even without a tealight, the small tea light holder from the Kubus series is an eye-catcher on any table, sideboard, bookcase or windowsill. It is made from steel and is available with different finishes. 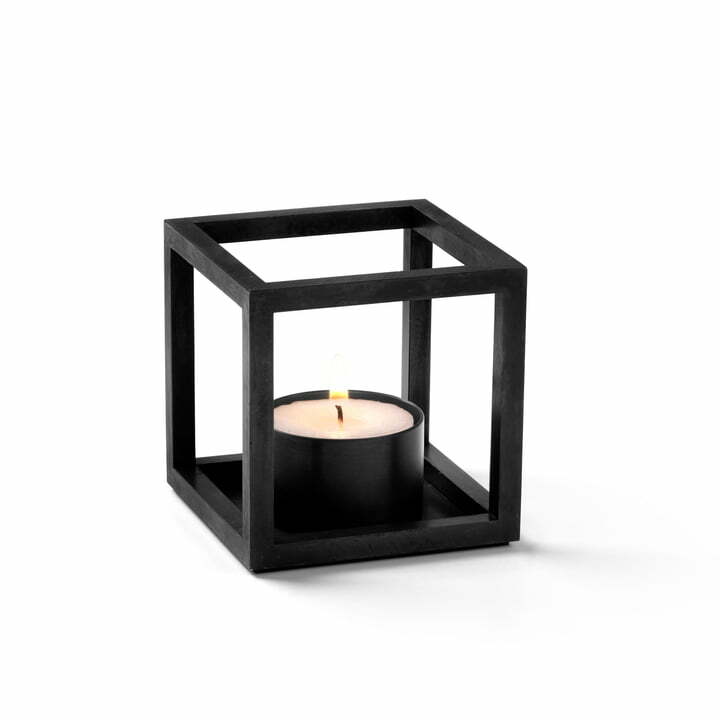 Isolated product image of the Kubus T tealight holder by Mogens Lassen for by Lassen in nickel. 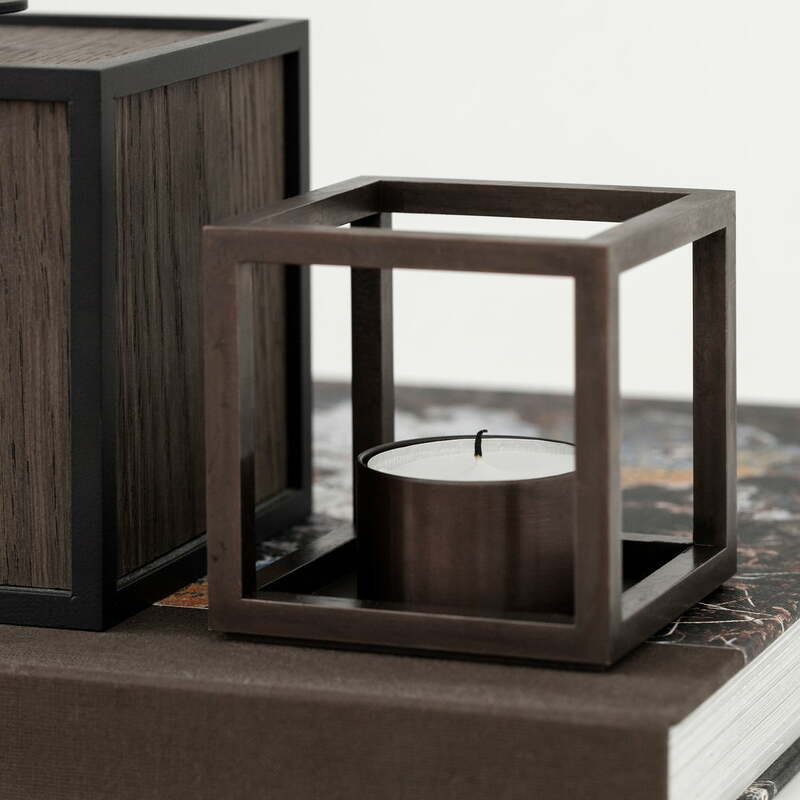 A conventional tealight fits into the tealight holder. Lifestyle product image of the Kubus T tealight holder with the Kubus Bowl from by Lassen. 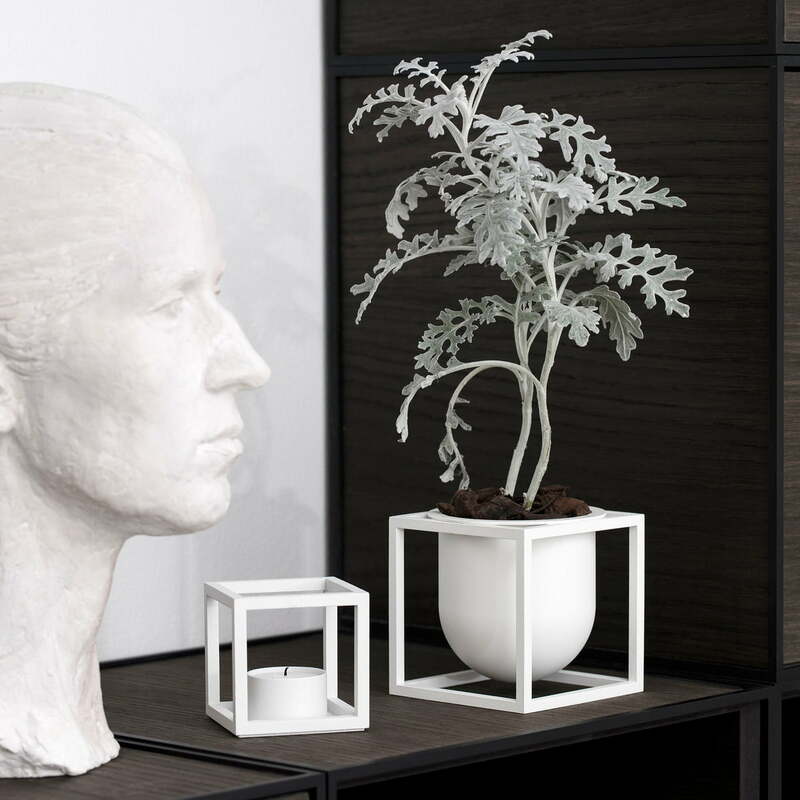 Especially in white, the products from the Kubus series are an eye-catcher. 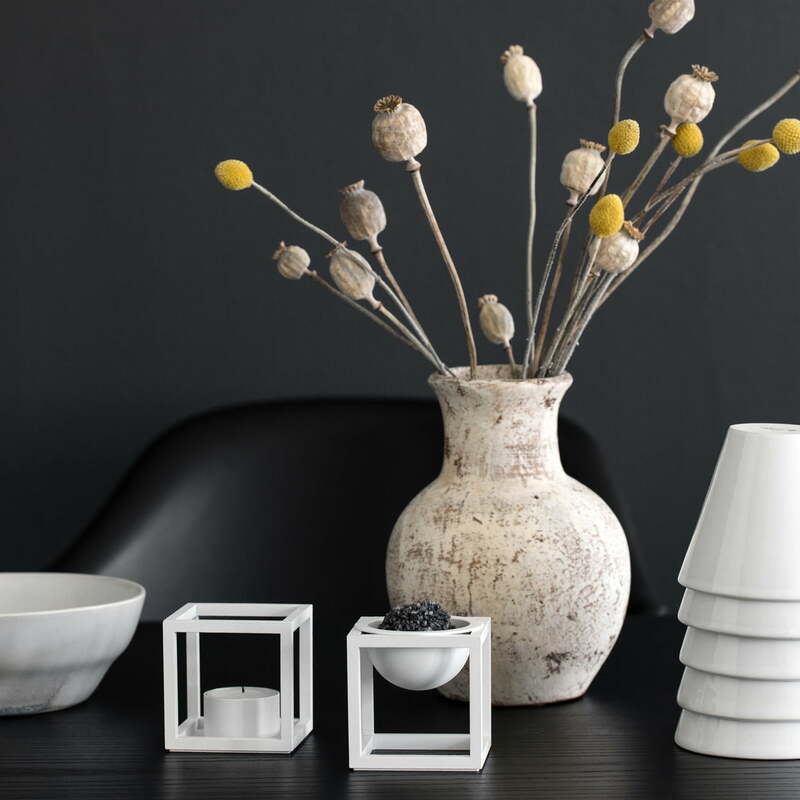 The Kubus range consists of home accessories such as candle holders, vases and bowls, which are characterised by their straight-line silhouette and functionalist style.